Mercedes has dominated the first two races of the Formula One season and the Bahrain Grand Prix provides the Silver Arrows with a great chance to make it three wins in a row. Lewis Hamilton qualified fastest for the Australian Grand Prix and, even though he experienced engine problems from the outset, Nico Rosberg ensured a winning start to the season for Mercedes and a comfortable one at that. Hamilton made it back-to-back pole positions by qualifying quickest for the Malaysian Grand Prix and, this time, the 2008 Formula One title winner had good fortune. Hamilton’s machinery held up throughout the 56 laps and he took the chequered flag more than 17 seconds before Rosberg did. The scary thing for Formula One teams other than Mercedes, especially those that are not using Mercedes engines, is that the Silver Arrows should be more dominant in Bahrain than they were in Australia and Malaysia provided that groups such as Ferrari and Red Bull do not make giant strides in the week between races, which is unlikely. The reason for this is that straight-line speed seems to be where Mercedes holds the biggest advantage over its rivals and the Bahrain International Circuit, home to the Bahrain Grand Prix nine times since 2004 – Formula One officials cancelled the 2011 race – contains more straight lines than either of the more twisty tracks in Australia or Malaysia. And one should not overlook the fact that Hamilton won the Malaysian Grand Prix particularly impressively, extending his advantage while at the same time conserving fuel, which is part of the Formula One game this season. One can only imagine what would have happened had Hamilton put his foot to the floor throughout the entire 310-kilometre event but it would not have made pretty reading for his opponents. Red Bull supremo Christian Horner has said that his team is making ground on Mercedes but matching the Silver Arrows in Bahrain is unlikely given their edge in terms of pure speed and the simple layout of the Bahrain International Circuit. So, for the third Formula One race on the bounce, betting on the winner boils down to a choice between the two Mercedes drivers. It would appear that Hamilton is slightly quicker than Rosberg – the British driver has two pole positions to the German driver’s zero – and that previous Bahrain Grand Prix results seem to favour Hamilton over Rosberg as well. In 2013, when Hamilton and Rosberg were Mercedes teammates for the first time, Hamilton’s fifth place in the Bahrain Grand Prix was middle of the road in terms of his season’s results. However, Rosberg’s Bahrain Grand Prix ninth-place finish – after starting the race from pole position in what was a big shock – was one of his worst results of the year. Betfred and Totesport are offering odds of 2.25 that the Bahrain Grand Prix goes the way of Hamilton and the British driver celebrates his first victory in the event. 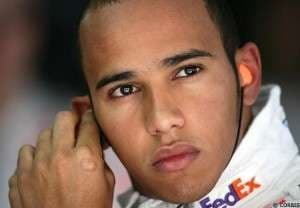 Hamilton was second in his first Bahrain Grand Prix seven years ago, a position that he not equalled. The Bahrain Grand Prix honour rolls reads Michael Schumacher (2004), Fernando Alonso (2005, 2006 and 2010), Felipe Massa (2007 and 2008), Jenson Button (2009) and Sebastian Vettel (2012 and 2013). 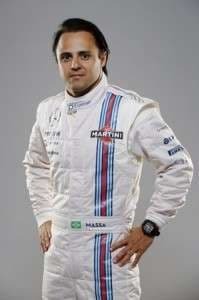 With regards to Bahrain Grand Prix exotics, Massa may be the driver to watch since he is driving a Williams car with a Mercedes engine and he has an excellent record in the event. Not only did Massa win the 2007 Bahrain Grand Prix and the 2008 Bahrain Grand Prix but also he was second in the 2010 Bahrain Grand Prix. And he has performed well in several qualifying sessions on the Bahrain International Circuit. Massa is available at odds of 1.91 with BetVictor and Sky Bet to finish in the Bahrain Grand Prix top six and he is trading at odds of 1.75 with Bwin to get the better of Kevin Magnussen, who has a Mercedes-powered vehicle but lacks in-depth Bahrain International Circuit knowledge.